Rivers and salmon are an easy linkage to understand—no water, no salmon. However, what we now know is that some orcas—specifically the Southern Resident orcas of Puget Sound and the Pacific coast—are directly linked to salmon for survival. The connections between wild Pacific salmon, endangered orcas (also known as killer whales), and a great western river make a compelling case for changing how we think about the oceans, rivers, and the creatures that inhabit them. We’ll look at this more closely later in this blog, but right now, everyone who cares about healthy orcas, oceans, and sustainable fisheries should urge President Obama to remove the four dams on the lower Snake River. 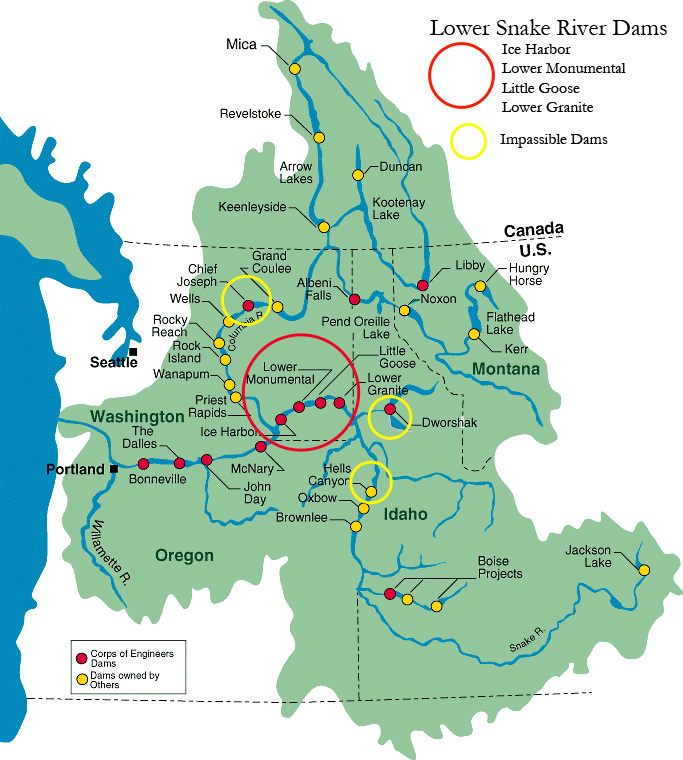 The Snake River, with its headwaters in the Rocky Mountains of western Wyoming, flows 1,078 miles to the Columbia River, which is the largest North American river that empties into the Pacific Ocean. The Columbia, the Snake, and their many tributaries once supported 10 to 16 million salmon and steelhead each year on their return from the Pacific Ocean to spawn in their natal streams. Pacific salmon are truly amazing fish. They are born in freshwater streams and lakes— some hundreds of miles inland—and in the case of the Snake River, as far west as Idaho. Yet these fish are also ocean species. As they grow they travel the course of their native river to the Pacific Ocean, where they spend the majority of their adult lives feeding and maturing, and preparing to make the long journey back to their home stream to spawn and then and then die. On average, there is a major dam every 72 miles in the Columbia River Basin. The upper stretches of the Columbia and the Snake rivers are impassible at the Chief Joseph and Hells Canyon dams, respectively. But salmon can navigate past some other dams. Four federal dams managed by the Army Corps of Engineers on the lower Snake are built with fish ladders for returning adult salmon, but out-migrating juveniles (smolts) have a very difficult time getting to the ocean. What’s more, the physical features of dams, such as turbines and sluiceways, directly kill both adult and juvenile salmon. And this summer, unusually warm waters, especially in the slackwater behind dams, are killing thousands of salmon returning to the Columbia Basin. The Southern Resident killer whales are actually a large family or clan of orcas made up of three different “pods.” These pods lives in the Salish Sea and Puget Sound off Washington State during the spring and summer months. Orcas are able to use echolocation to detect different salmon species and focus on their preferred prey. 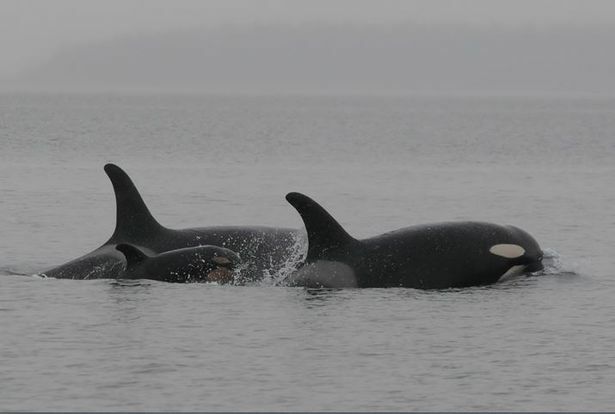 What scientists are learning is that these Southern Resident orcas prefer Chinook (king) salmon; Chinook salmon are 75-90 percent of the orcas’ summer diet. The National Marine Fisheries Service listed the Southern Resident killer whale as endangered in 2005. There are now only about 81 orcas remaining, and the lack of adequate preferred prey—Chinook salmon—is one of the biggest threats to their survival and recovery. 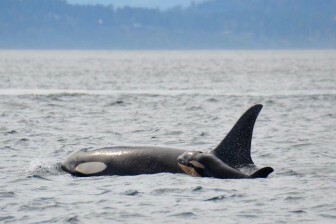 Scientists have linked the survival and birth rates of the orcas with the coast-wide availability of Chinook salmon. [ii] When orcas are feeding in the Salish Sea in summer months, they depend heavily on Chinook bound for British Columbia’s Fraser River. New scientific studies show that in the late fall and winter months, two of the three orca pods spend a significant amount of time feeding off the outer wester coast of the United States, as far south as Monterey, California. What’s more, these two pods spend a substantial amount of their time feeding near the mouth of the Columbia River. [iii] What are they doing there? They are feeding on salmon returning to the Columbia and Snake River systems. Rebuilding Chinook salmon populations is the most important thing we can do to help endangered orcas recover. The National Marine Fisheries Service has determined that the lack of adequate prey for Southern Resident killer whales “will require a long-term commitment to rebuilding and enhancing salmon stocks.”[iv] The federal government, however, has been reluctant to make what is arguably the most important conservation commitment—decommissioning the lower four Snake River dams. Removing those four dams would restore salmon’s access to thousands of miles of river and streams and would produce hundreds of thousands more Chinook that would help Southern Resident killer whales survive and rebuild their population. In fact, removing these four dams may be the single biggest action that the United States can take to increase salmon abundance in the region, prevent future salmon population extinctions, and help orcas recover. Please join the Endangered Species Coalition and our partners and call on President Obama to remove four dams on the lower Snake River. Click here to sign the petition. Thanks, Gladys, and we doing all we can to help Orcas and other whales as well. Our efforts are focused on the Puget Sound area, and the Southern Resident Orcas, who travel all the way to Monterey in California. We appreciate your support!